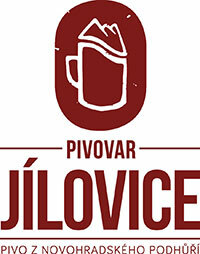 Jílovice Brewery. The brewery began its operation on 2 June 2015 with its first batch of 12° lager. High-quality water from the foothills of the Novohradské Mountains, Czech malt and granules from Czech hops are used to produce the beer. A classic technological procedure that involves brewing in the boiler, cold main fermentation in open vats, and subsequent long aging in lager tanks produces a Czech-type beer with a full taste, good vigor, and optimum bitterness. In the summer, you can enjoy sitting in a comfortable atmosphere and sampling our selection of draft beer. The basic selection consists of a light draft 10°, 11°, and a 12° light lager. Occasionally we offer Jantarový (amber) 12° Lager and our 13° semi-dark special. The brewery’s sales window is open year-round, here you can buy beer in containers (1.5L PET bottles, 15L, 30L and 50L kegs). In the summer season (May to October) the window also sells beer on tap. Restaurant: Jílovice Cultural House, Staročeská restaurant Trhové Sviny, Bar U Čerta in Třeboň, Small Brewery Club in České Budějovice, and the Pivoňka Schnitzel restaurant in Český Krumlov in the summer. Brewery tours are organized only occasionally for various events (e.g. the anniversary of the opening of the brewery in June) due to hygienic reasons. Every year in June, an event takes place on the anniversary of the opening of the brewery. The exact dates will be announced on the brewery’s website.